Barbet is a breed that can reach 22.5-25 inches in height and about 37-62 lbs in weight. The lifespan of these dogs is approximately 13-15 years and these type of breed is best suitable for houses with yards and families with children, because Barbet is an intelligent, fun-loving and really loyal and friendly dog. The Barbet is not actually a very big dog, it is most medium-size, but its curly dense coat is the thing that distinguishes the breed so much. They are strong and proud dogs when you see them standing seriously on their feet, but at the same time, after a minute, you can see how friendly and playful they are, rolling down the mud. This is a dog with fun-loving and friendly personality, it is really intelligent and a dog that can be thought to obey without a problem. The Barbet is a dog that can sit calmly next to its owner, and they can be then as much happy as when they play in the mud. They are really suitable for big families with children, because they tend to bond a close relationship with the members of the family and they want to take part in every activity of the family. But if this dog does not receive enough training and exercises, it could develop some problems in their behavior. That is why you need to play a lot with the dog, engage it in lots of games and consistent training. Perhaps the best activities for your dog are obedience and agility training, because the breed is typically very good at this type of training. 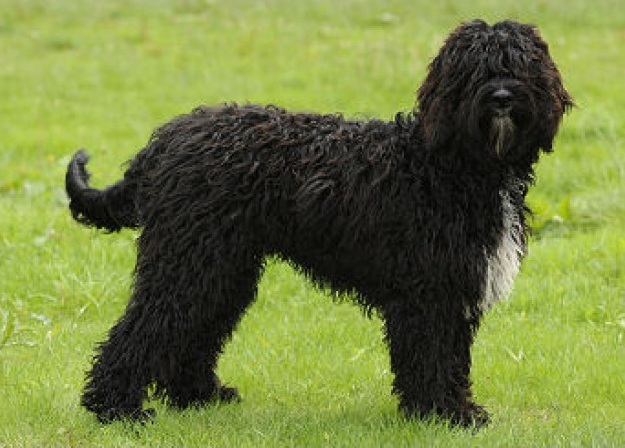 The Barbet is known to be a medium-sized dog, but it is actually better if you feed it with dog food formula for larger breeds. And this is especially if you are planning to use the dog for agility or hunting, then for sure it will need a lot of energy. Unlike some other breeds, the Barbet is not a dog that tends to be dominant or headstrong, on the contrary – it is one really intelligent dog and easy to be trained. The dogs of this breed are excellent swimmers due to their thick coat and webbed feet. They are also really talented when it comes to agility training that is why the dogs of this breed are top competitors in agility shows in France. They are also great companions if you like going hunting. But if you do not have such plans like hunting or going on shows, trainings is still one of the most important things for this dog. When you are consistent in providing regular training for your dog, it will not develop unwanted behavior like barking or chewing. And while the dog is still young, socialization is really important so that the dog remains friendly when it is surrounded by other dogs or strangers. The adult Barbet reaches between 37 and 62 pounds. It is typical for the female dogs to be smaller than males. 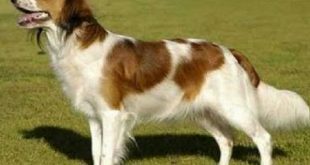 It is not known much about the long-term health issues of this breed due to the fact that this is a rare breed. But some of the most common problems with health that can be seen in the Barbet are hernias, ear infections, hip dysphasia and epilepsy. Of course, when keeping responsible breeding practices, the risk of developing such problems can be reduced a lot. The average lifespan of his breed is about 13-15 years. It is a lively dog that loves to play, so it will not be really happy if you lock it indoors during the whole day. If you want your Barbet to be healthy, you need to be aware of the fact that it needs plenty of daily exercise and a little time to stretch out its legs. It needs a lot of time outdoors and plenty of time to play, so you need to take the dog out for long walks. 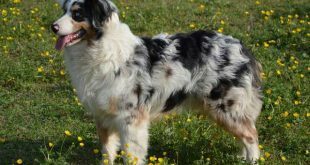 The coat is the most recognizable feature of this breed. 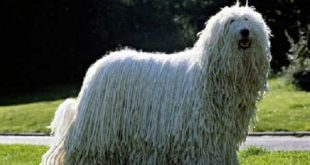 It is long and wooly and it can vary in color from white to solid black. It is a really thick coat that is why it helps them to be protected from the cold water. At the same time the tick coat means that it gets matted rather than falling off the dog. For this reason, regular grooming is so important for this breed. The Barbet puppies are for sure like fluffy bundles of love. They long to play and cuddle. Although you will not help yourself but hug them all the time, you need to be persistent in not doing this but teach them in obedience even from this early age. Although this breed has existed for quite some time in America, this is a rare breed. The origin of the name comes from French, and this is the word used for beard – barbe. The actual origin of the Barbet is not known, but it is thought to be an ancestor of many modern water dogs, like for example the Poodle. 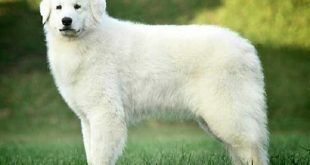 In fact, the names of both breeds were used for the same dog in Germany and France for hundred of years. The Barbet still has to be officially recognized by the AKC, although it can be registered with the UKC or ARBA. The breed will be accepted by the AKC once the number of registered Barbets reaches 150 in the USA.